The University of Washington is among the oldest public universities established on the West Coast founded on November 4, 1861, as the Territorial Uni­versity on 10 acres of privately donated land at the outskirts of a small village (population 250) over­looking Elliot Bay, later destined to become downtown Seattle. As a result of a rapidly growing student population, the university was moved in 1895 to its current location on the shores of Union and Portage Bays in northeast Seattle. The original conception of a medical school in the Northwest Territories can be traced back to the founding of the university. In 1884, a committee appointed by the Board of Regents outlined an orga­nizational plan for a medical school with faculty to be recruited from local town physicians. However, plans were cut short when funding was denied by the state legislature. In 1916, then University of Washington President Henry Suzzallo appointed undergraduate fac­ulty in the sciences, including anatomy, biochemistry, bacteriology, and pathology, and drafted a new pro­posal to build a university medical school. Again, the state legislature along with the University Board of Regents failed to support the proposal. It was not until the ending of World War II with many returning GIs in search of education and new careers coupled with a widespread shortage of physicians that the Washington State Medical Association, who had long opposed the founding of a medical school out of concern for creating a competitive surplus of physi­cians, appointed Dr. David Methany, Seattle surgeon and Chief of Staff at Harborview Hospital, to chair a committee to study the feasibility of establishing a medical school. 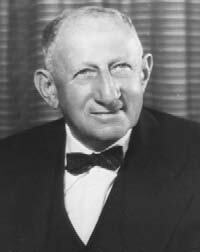 With Senator (later Governor) Albert Rosellini’s backing, a bill was introduced to the state legislature and signed by Governor Monrad Wallgren on March 15, 1945, providing $3.75 million for building construction and $450,000 for salaries. Dr. Ernest L. Turner was named the first dean of the medical school and on October 2, 1946, the University of Washington formally introduced the medical school as part of the School of Health Sciences. In the fall of 1947, the first class of 50 medical students was admitted. The King County Hospital built in 1931 on Seattle’s First Hill, later to be renamed Harborview Medical Center, and the VA Puget Sound (established 1923) served as its first two main teaching hospitals. The University of Washington rapidly became the primary provider of medical education in the Northwest, and in 1971, the WAMI consortium was established between the University of Washington School of Medicine and the states of Alaska, Montana, and Idaho to create an innovative decentralized distributed teach­ing curriculum integrating a world class urban aca­demic medical center with vibrant community-based practice groups, which has resulted in the University of Washington being named the nation’s top primary care school each of the past 17 years by U.S. News & World Report. The state of Wyoming joined the WAMI con­sortium in 1996, when the consortium adopted the acronym of WWAMI. Dr. Alfred E. Strauss (pictured left), a star halfback on the Uni­versity of Washington undergraduate football team (1901 to 1903) and member of the Husky Hall of Fame, went on to become Chairman of Surgery at the Michael Reese Hospital in Chicago devoting his life to cancer research and surgery. Throughout his note­worthy career, he maintained an unwavering commit­ment to the University of Washington, often referred to as ‘‘UW’s most loyal alumnus,’’ and was instrumental in the founding of the School of Medicine. 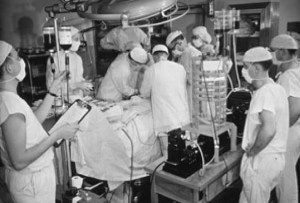 In 1950, in conjunction with the University of Washington Department of Surgery, Dr. Strauss established the lectureship that endures to this date (Strauss Lecture). He was, at the time, quoted in the Seattle Times, ‘‘in three years they have progressed more than many leading medical schools did in their first ten years … if the state builds a teaching hospital in conjunction with the school it will become one of the outstanding med­ical centers of the nation for teaching and research.’’ These bold predictions would later prove to be accurate as the University of Washington quickly transformed into the highest funded public university in the nation and second among all universities receiving over $1 billion of total research awards each of the past 3 years. The University of Washington School of Medicine alone received more than $566 million and the De­partment of Surgery contributed over $13 million of external funding during 2009. Eight past and present University of Washington faculty have won Nobel pri­zes with five awarded in the field of medicine since 1990, more than any other institution during the same time period. Henry N. Harkins (pictured left) was recruited from the Johns Hopkins University to be the first University of Washington Chairman of Surgery in 1947 and was based at Harborview until the University of Washington Medical Center was completed in 1959 at its current location. He played an influential role in the early de­velopment of the medical school and quickly estab­lished the academic reputation of the department as a founding member of the International Surgical Club and editor-in-chief of the journal, Review of Surgery. He was honored with two Guggenheim Fellowship awards that permitted him to serve as Visiting Professor in Australia and Sweden, where he was awarded the country’s Acrel Medal by the Swedish Surgical Society. 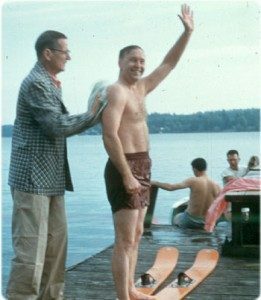 The first University of Washington general surgery chief resident class graduated in 1951. As a tribute to his academic leadership and teaching skills, the gradu­ating chief resident class of 1955 established the ‘‘So­ciety of the Golden Pouch,’’ which was later renamed the Henry N. Harkins Surgical Society and currently serves as our department’s alumni society. There were many notable University of Washington achievements during his tenure, one of which was the first open heart procedure performed on the West Coast performed by a young faculty member recruited from the University of Minnesota named Alvin K. Merendino at Harborview in 1956 who would eventually succeed Dr. Harkins as chairman from 1964 to 1972 (pictured below right). Dr. Merendino was a recognized pioneer in cardio­thoracic surgery and led the experimental surgery laboratories cultivating close collaborations with his University of Washington bioengineering colleagues, which led to the discovery of numerous innovative medical devices. John K. Stevenson served as acting chairman from 1972 to 1974 and our department faculty teaching award was established in his memory. In 1974, Tom Shires, a world-renowned researcher in shock and trauma, was recruited from the University of Texas Southwestern and Parkland Memorial Hospital, along with a large contingent of staff, to become Chairman of Surgery. 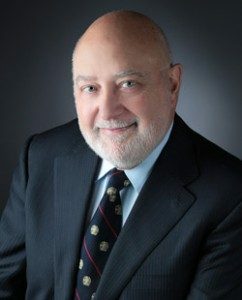 Despite abruptly leaving in 1974, several of his recruited faculty members, including David Heimbach, C. James Carrico, and Ronald Maier, would stay in Seattle and go on to lead impressive academic careers at the University of Washington and would establish Harborview as an international leader in trauma and critical care. John A. Schilling was asked to assume leadership of the department in 1975 and began his third chairmanship after leading the department at the University of Oklahoma. During this period, the surgical residency programs at Providence and United States Public Health Service were absorbed into the University of Washington. De­spite being faced with mounting financial burdens of the new medical school, he managed to grow the de­partment and recruit over 40 new faculty members by his retirement in 1983 and is credited with ensuring the financial stability of the department. He maintained a high commitment to patient care, teaching, research, and scholarship. 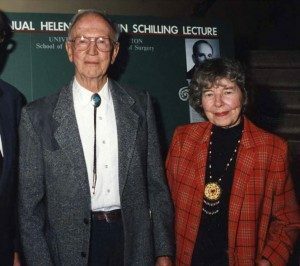 Along with his wife Helen, a visionary on her own right, they funded the Resident Research Day and the Helen and John Schilling (pictured left) Lecture on Basic Science. He and his wife left a great legacy when on their passing, their estate was donated to the De­partment to help fund the salaries of residents in their research years. C. James Carrico (pictured right) was promoted in 1984 from Chief of Surgery at Harborview to lead the department after he played a key role in the evolution of Harborview into the only full-service regional Level 1 trauma center for the state of Washington and WWAMI consortium. Currently led by Surgeon-in-Chief, Ronald V. Maier, Harborview has gained worldwide prominence as a pioneer in trauma, burn, and critical care research. Dr. Carrico was persuaded to return to his alma mater at the University of Texas Southwestern in 1990, and David G. Ashbaugh and Alexander W. Clowes served as interim chairs until Carlos A. Pellegrini (pictured below-left) was recruited as Chair beginning his tenure in January 1993. 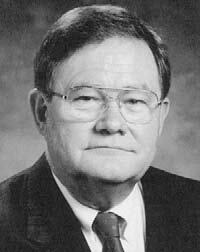 In 1996 he was named The Henry N. Harkins Professor and Chair of the Department of Surgery. Under Dr. Pellegrini’s leadership, the department has transformed into an innovative leader in surgical resident education and training, translational, and outcomes research while continuing the tradition of basic science research established during the Schilling and Carrico years. The Department has grown substantially as a number of new clinical programs were implemented and today there nearly 100 full-time faculty. Dr. Pellegrini, one of the founders of minimally invasive gastrointestinal surgery, developed two major clinical research pro­grams related to this emerging field. The first was the Center for Videoendoscopic Surgery, a state-of-the-art institute designed to advance the safe and efficient use of the technique of minimal access. The second, ini­tially named the ‘‘Swallowing Center’’ (today known as the Center for Gastric and Esophageal Surgery), was created to advance our knowledge on diseases of the esophagus and to serve as the anchor for a large program on minimally invasive surgery of the esophagus and stomach. 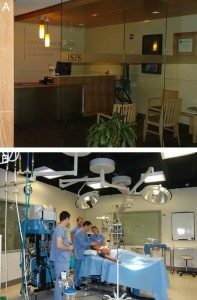 Most recently the Department of Surgery developed the WWAMI Institute for Simulation in Healthcare (WISH) inaugurated in 2005 as an umbrella institution for all School of Medicine efforts around the use of simulation and modeling. This center emphasizes the safe and efficient use of these tech­niques to improve the quality of medical education and enhanced patient safety and outcomes. The institute includes sites located throughout the Univer­sity of Washington medical system in Seattle, WA, as well as a telemedicine link in Boise, ID, and com­bines the latest technology in telecommunication and simulation equipment to train future generations of surgeons. The generously funded Surgical Outcomes Research Center (SORCE) led by David R. Flum was recently established by the department as a multidis­ciplinary research center to promote and support health services research to improve the quality of surgical care through education, training, and policy initia­tives. Both clinical programs have quickly achieved national prominence and enabled our trainees to cap­italize on new research opportunities. Excerpted from: Wu PC and Pellegrini C, “The University of Washington Department of Surgery: Training Surgeons in the Pacific Northwest.” Am Surg, 76(12):1321-7, 2010.